The Huckleberry Mine is an open pit copper/molybdenum mine located in west-central British Columbia, owned by Huckleberry Mines Ltd. (HML). Their tailings pond nearing capacity, HML built a new tailings pond (TMF-3) approximately 4km from the mill building to accommodate extended mine life until 2019. 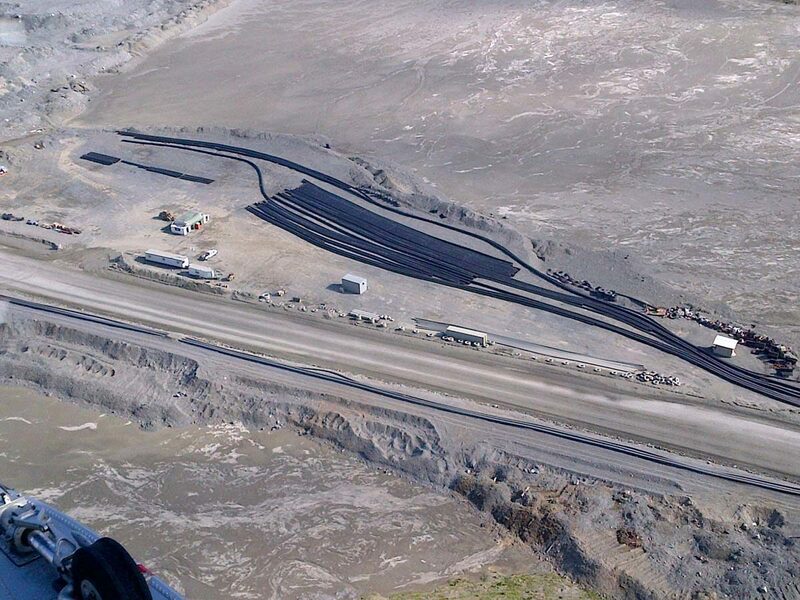 Over 12km of HDPE pipeline to transport tailings from the existing mill building to a Cyclone Sand Plant (CSP) building, which separates out the coarse sand from the tailings stream. The sand is stored in a sand pad adjacent to TMF-3 and used to raise the tailings dam, in order to contain rising pond elevation. 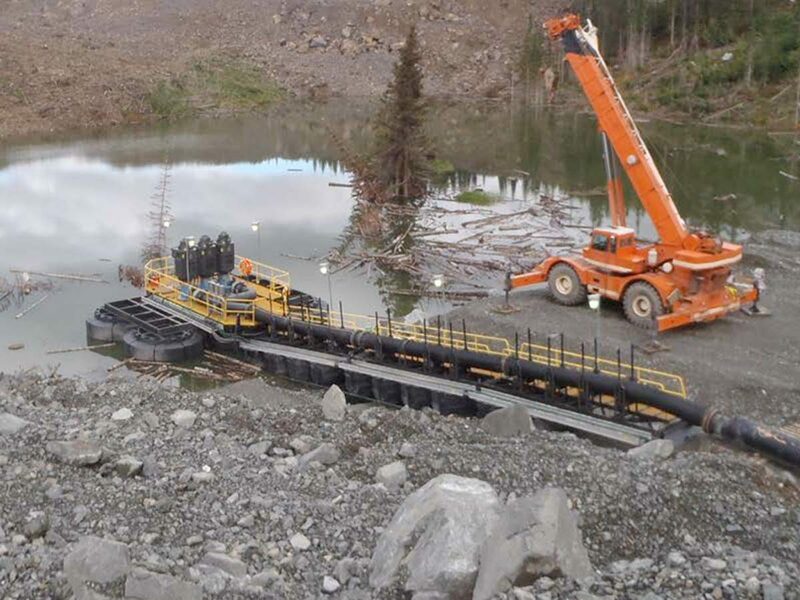 This system required installation of 2 booster pumps in an existing building: a 600hp rougher tailings pump and a 200hp scavenger tailings pump. Cyclone Sand Plant including cyclopac, piping, sump pump, electrical systems and pre-engineered steel building. Concrete drop boxes to support above slurry systems. A new reclaim water barge at TMF-3, associated E-house and refurbishment of an existing reclaim water booster pump house. 5km of HDPE pipeline for the reclaim water system. Over 2km of HDPE pipeline and pumps at 3 new seepage control ponds located adjacent to TMF-3. JDS also to managed the installation of a 5.5km 13.8kV overhead power line to support the new infrastructure. The project was completed on time and under budget with no lost time injuries.